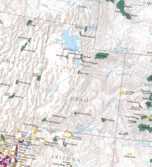 In 2004, the U.S. Geological Survey (USGS) published an updated map of the National Wilderness Preservation System (NWPS) at 1:5,000,000 scale in an Albers equal area projection. 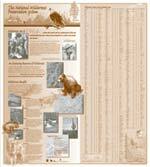 The map uses an NWPS boundary layer produced by the Aldo Leopold Wilderness Research Institute. This large format (42 inches by 46 inches) map shows Alaska and Hawaii at the same projection as the contiguous United States and features a striking back-side that incorporates facts, figures and original artwork. 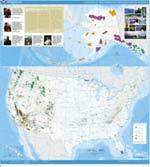 This map is available for purchase online at the USGS Store either by searching for the product number, 101414, or for the product name, National Wilderness Preservation System. Cost is $7.00 plus shipping and handling.